Many patients see Dr Roked because they are worried they have an under-active thyroid. The symptoms of an underactive thyroid are a low mood, low energy and weight gain. However many other conditions and imbalances in the body can cause these symptoms. Patients often see Dr Roked to get a thorough thyroid function blood test. TSH – thyroid stimulating hormone. The signal from the brain that tell the thyroid gland to work. T4 also known as thyroxine. A hormone made by the thyroid gland. T3 – the most active and potent thyroid hormone. T4 has to convert to T3 via enzymes. Reverse T3 if this is high it can reduce the amount of T3 circulating in the body. Thyroid auto-antibodies – to check for autoimmune disease. It is important to remember that other imbalances can cause similar symptoms to an under-active thyroid. 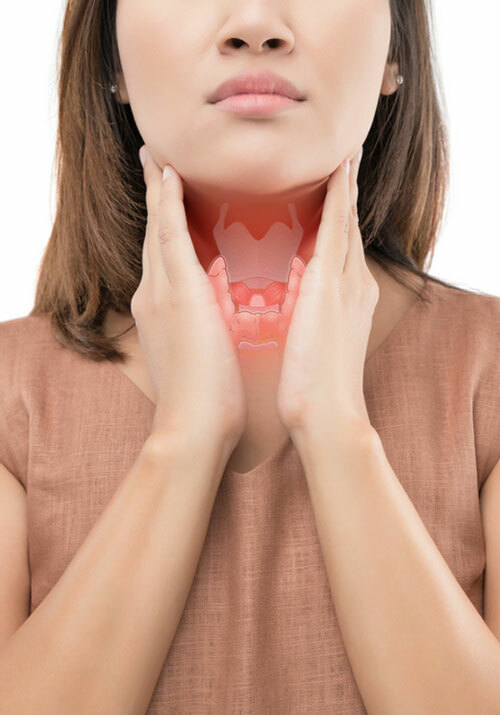 Part of what makes Dr Roked’s approach unique is that this thorough thyroid check is also looking for these imbalances and treating them so the body is functioning at it’s optimum. Based on the information above, Dr Roked can help you to really create a truly personalized health plan of supplements, nutrition, exercise and lifestyle changes. This is the future of medicine and Dr Roked is excited to be at the forefront of this new and evolving field.